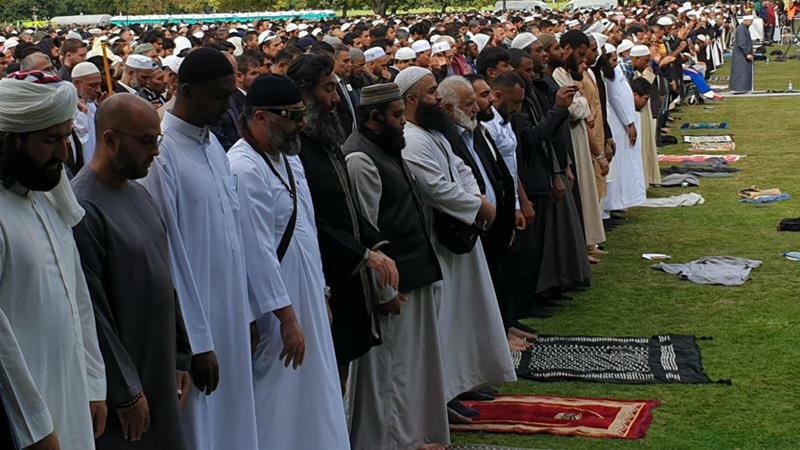 A nationwide moment of silence has been observed in New Zealand on Friday – ushered in by the Muslim call to prayer – a week after after 50 people were killed and scores of others wounded in an attack on two mosques by a Christian terrorist. The prayer and two-minute reflection were were attended by almost 20,000 people, including Prime Minister Jacinda Ardern, gathered metres from the Al Noor mosque in the city of Christchurch for Muslim Friday prayers. Prior to the prayers, Ardern quoted the Prophet Muhammad during a brief address to the crowd. Remembrance ceremonies and public vigils took place across the Pacific nation on Friday.